Writing with a search engine in mind can be a daunting challenge. You know that there are a bunch of things you’re supposed to do, a bunch more things that you’re not supposed to do, and additional rules that seem to exist just to make you crazy. Trying to keep all of these things at the forefront of your mind while writing copy, especially something that screams SEO like a meta description, makes the entire process feel more difficult than it has to be. Rest assured that you are not the only one dealing with this issue. Heck, even professional SEO writers feel it. This article discusses seven easy tips that cover the basic needs of SEO, allowing you to concentrate on your content instead of the nuances of several search algorithms. 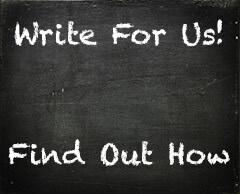 You’ll be surprised by just how much simpler SEO copywriting can be! The most common mistake writers make when producing SEO content is to take the search engines as their primary audience. Google is NEVER your primary audience. It is a tool that internet searchers use to find answers to whatever query they have immediately. They succeed whenever a user is satisfied with the results they offered and return to that engine with their next query. Hypothetically, let’s say you create an article that checks every box the search engine is looking for. It zooms up to the top of the list results because the search engines think that it is the ideal content. Mission accomplished, right? Wrong! The purpose of SEO is not to get to the top of the page but instead stay there so that as many eyes as possible can spot you. If the article above achieved its ranking by catering to the search engine instead of real people, those people will find your page, click on it, and leave in disgust. They will not be converted into business, nor will they consider you to address their future needs. Search engines are smart, and they can notice when your site is user repellent. While it initially thought you had created the ideal content, it now has new data that suggests you didn’t. The new information trumps the old, and your post will fall down the rankings as quickly as it ascended them. Therefore, it is imperative that you avoid compromising the user experience to make search engines happy. 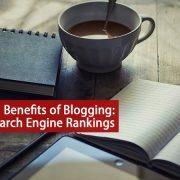 Ultimately, it is users, not search engines, that determine your rankings. It’s easy to think of all the rules associated with SEO as edicts from a higher power, but remember that each has a practical reason to exist. For instance, keywords exist because they teach search engines and users alike what a given article is about. 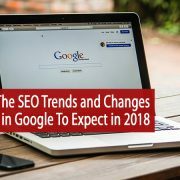 Old-fashioned keyword stuffing and other SEO techniques that no longer work was rejected because articles emphasizing them failed to provide users the information they were looking for. This means that there is no magic formula to determine how many times you need to use a keyword in your content. An automated solution like that appeals to a computer, and you’re trying to appeal to a fellow human being. Instead, allow the flow of whatever you’re writing to dictate how many times each keyword is employed. Reading it out loud is the best way to get a feel for this. If you find yourself saying the same word or phrase so often that it starts to lose its meaning, it is safe to conclude that you used it too often. Adjust accordingly. If you try to rank for too many search terms at once, you end up confusing search engines and end users alike. What is your article even about? No one will be able to find you, and your SEO rankings will plummet. Instead, assign each page of your website a small group of extremely similar search terms to rank for. There will be no question what you discuss on each page, allowing search engines to guide users where they want to go effectively. Your users will also know that they have found exactly what they were looking for. This may seem basic, but it’s essential. Producing content on a word processor gives you more formatting options than you’ll realistically need for SEO content in an intuitive interface. It’s an excellent option. By contrast, you should never compose content directly on your CMS. It’s far too easy to misclick and send content live before it’s ready, or miss something stupid and end up publishing something that looks unprofessional. Most word processors support a handy, underutilized “find” function that highlights every instance of whatever you type into its search box. It’s accessed by hitting Ctrl and F simultaneously, but Mac users need to hit Cmd and F instead. If you try to find one of your keywords and almost nothing is highlighted, you haven’t used it enough. If your whole post lights up like a Christmas tree, you’ve used that phrase too often. Either way, you get a handy visual representation of how often you used your keywords if they’re spread out or clumped together and any areas that could use some tweaking. Nobody likes reading big walls of text on the internet, so you don’t write big walls of text on the internet. However, your moderately-sized paragraph on a PC might look like a wall of text on a device with a smaller screen. Did you consider that? Search engines are increasingly concentrating on mobile devices because users are choosing these devices more often. One easy way to improve their experience is to make any lists a series of bullet points instead of a long sentence with a bunch of commas. Headings and links are still critical components of SEO, but much like keywords, they need to feel natural. For example, using your primary keyword in your H1 makes sense because it shows both search engines and prospective customers what that page is about. 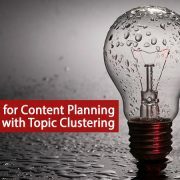 Related phrases should be in the subheadings that follow because the content is still discussing that topic. Internal links should be inserted wherever users might legitimately want more information and nowhere else. For example, calls to action should include a link to purchase whatever you’ve been talking about. Leading with the same link would make little sense because you haven’t pointed out why users might want it yet. Ultimately, all seven of the tips above are advice on how to achieve the first one. Concentrate on your end user, and SEO will sort itself out.